A coaching session on 3rd dan pattern Choi-Yong Tul by multi-World Champion and Expert Coach Mark Trotter. This video is a casual coaching session between Mark Trotter and Melissa Timperley on the pattern Choi-Yong tul. Choi-Yong is learnt at 3rd degree black belt level, and this video gives many insights into how to better perform this pattern. Much of the valuable information in this coaching session involve hints on how to perform the movements better, and are useful even if you are not yet at 3rd dan level. 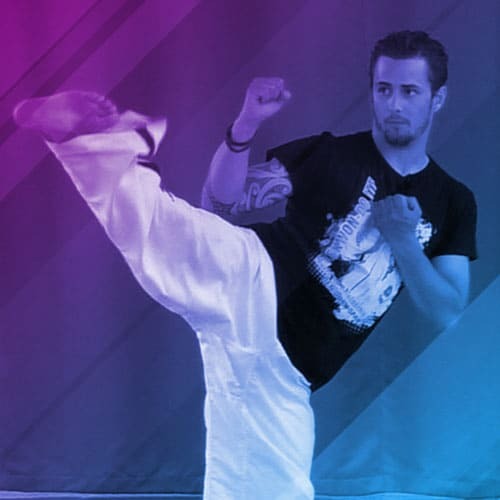 A lot of the information relates to how to better perform the kicks such as reverse hooking kick and side piercing kick.